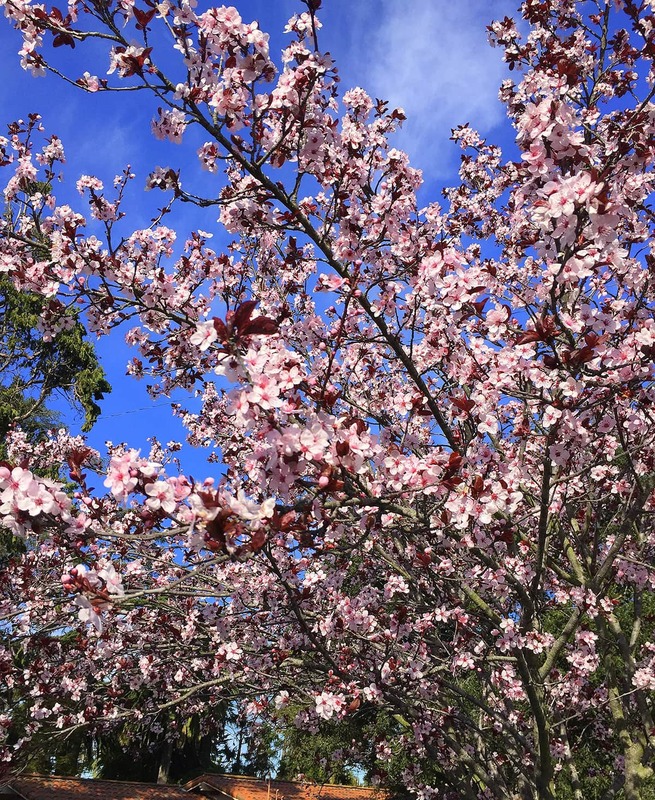 Nothing says “spring” more than flowering trees, and the Purple-leaf Flowering Plum is one of the first to show its beautiful bouquets. When absolutely covered with light-pink flowers, it makes it a lovely focal point in any garden. After the petals fall, deeply purple leaves appear, so it continues to be a definite standout in the landscape. While in the same plant family as the true fruiting plum, all the varieties of Purple-leaf Flowering Plums available today were created for their fine ornamental features. Probably the most commonly grown is Prunus cerasifera ‘Atropurpurea’. Other varieties regularly available at nurseries are “Krauter Vesuvius’, ‘Newport’, and ‘Thundercloud’. All been selected for abundant flowers, for varying hues of purple foliage, and for producing little to no fruit. A small- to medium-sized tree (rarely taller than 15 to 20 feet with a spread of 10 to 15 feet), it has an attractive, smooth, gray to reddish bark. Other desirable features are its medium to low water requirements and its very low maintenance needs. It drops practically no litter, except in the fall when it loses its leaves. The branches are delicately sculptural during winter dormancy. 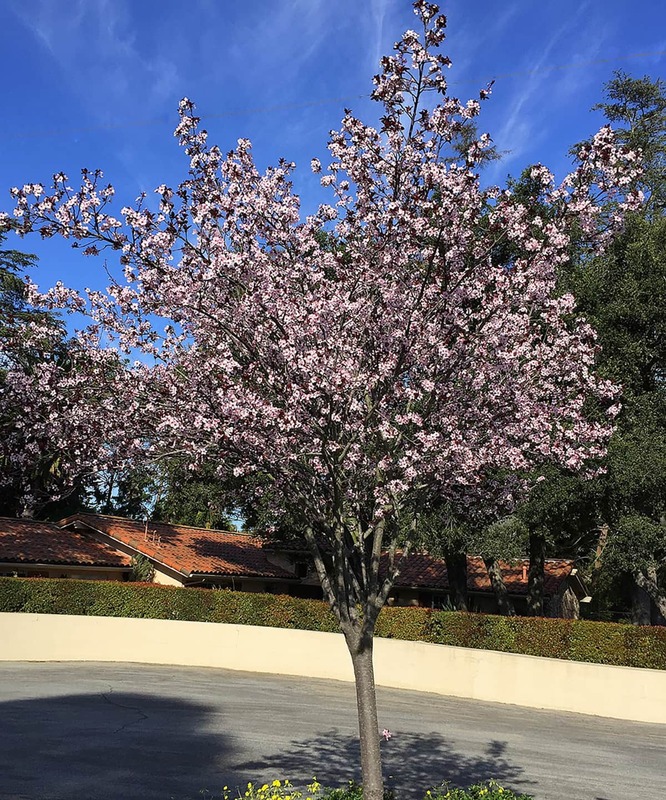 It is an ideal tree for smaller yards and a great addition to landscape spaces where a flowering tree is desired. Purple-leaf Flowering Plums can be seen throughout Santa Barbara, in home gardens, in City parks, and along our streets. Mature street trees are found on Calle Noguera, on Vista de la Cumbre, and on the 3600 and 3700 blocks of San Remo Drive. Newer trees have been planted in the first blocks of North and South Voluntario Streets.